The five brothers started performing when the youngest was two years old, so they've been at it for more than twenty-eight years and are still all under 40 years old. 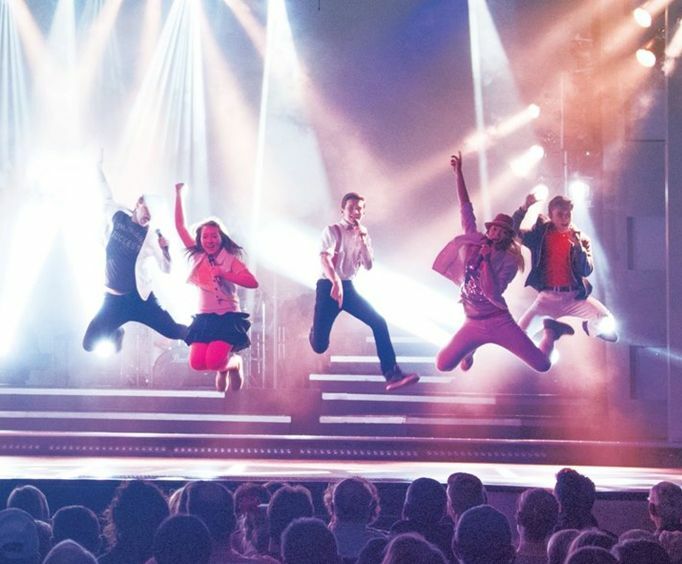 With impressive dance moves, amazing instrumentals, and spot-on harmonies promise to deliver an unbelievable time of music that ranges from country to pop, to rock, to Broadway, gospel, waltz, ballet and more! The enormous Hughes family makes up almost all of the more than 50-member cast (and still growing) who all have inherited their folk's knack for entertainment. The brothers' wives and children contribute an array of talent that makes for a fantastic performance that includes waltzes and ballet, a violin segment by the kids, and plenty of laughs. The production quality is first-class and the sound and lighting technology is pristine. Come let Marty, Jason, Adam, Ryan and Andy open up their multi-talented family to yours in this endearing and inspiring show. There is no shortage of talent in the extensive Hughes family. 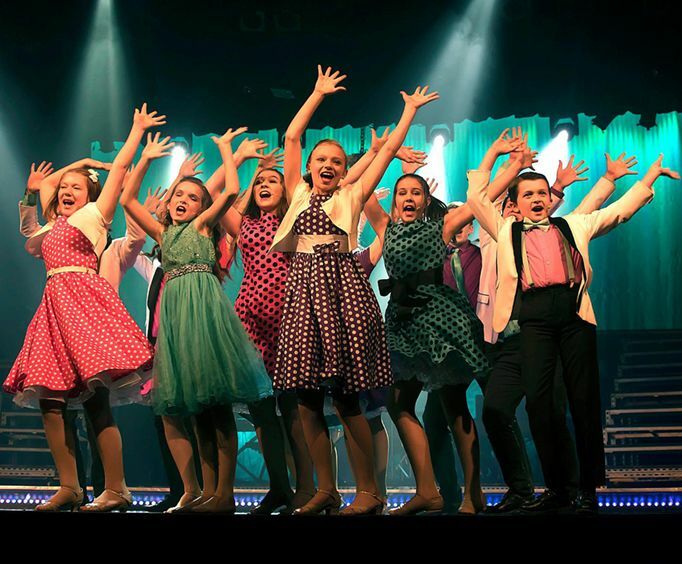 From incredible harmonies to fantastic dance moves, entertainment is never hard to find. 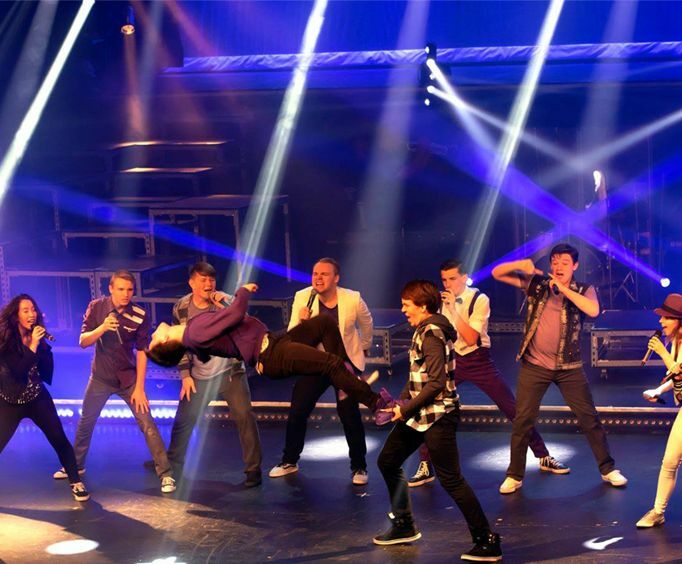 Though the show started with just the five brothers, it has extended into a wide variety of other talents. Their wives sing, dance and laugh along with their husbands. Now, their kids take the stage with them, in an unforgettable spectacle of instruments and dance. What is included in the admission price for Hughes Music Show? Approximately how long is the Hughes Music Show? This was our first time to branson, mo. It was by pure luck that we selected to see the hughes bros. Show. We absolutely fell in love with them and went back for 3 nights, as we couldn't get enough of them. They are a warm, hospitable, and beautifully talented family. We will be coming back in november to see their christmas show. Can't wait. These five brothers give their all in one of the most lively and varied productions i've ever seen. Flawless five-part harmonies grace almost every song, and their talented family members periodically join in for family fun. For dinner we were waited on by one of the brothers' adopted sisters adopted from russia. This teenager was a joy to get to know throughout the delicious dinner that she served us.